PAST EVENTS - don't just workout. DANCE with attitude! DANCEYTUDE™! 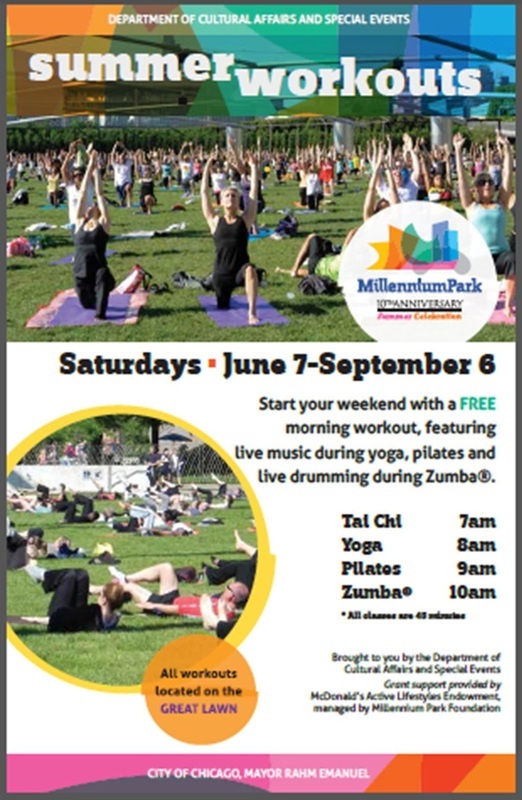 MILLENNIUM PARK 2016, HERE WE COME!!!! 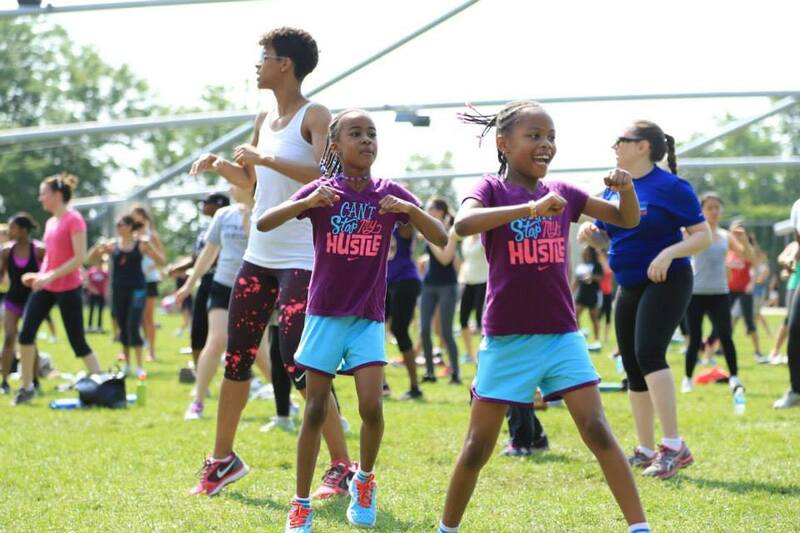 JOIN ME EACH SATURDAY FROM JUNE 11 - JUNE 25, 2016 AT 10:00 A.M. FOR ZUMBA® THE DANCEYTUDE™ WAY! 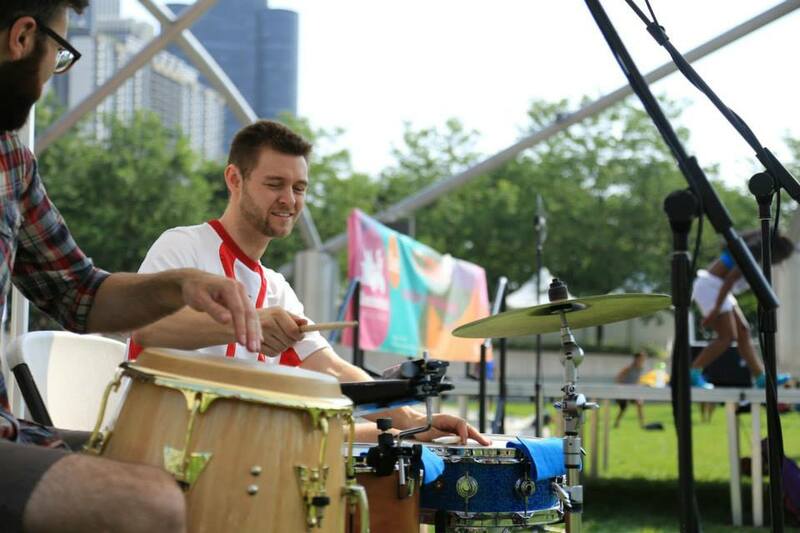 THERE WILL BE GREAT MUSIC, FUN MOVES AND LIVE DRUMMING! AND BEST OF ALL, IT'S FREE!!!! 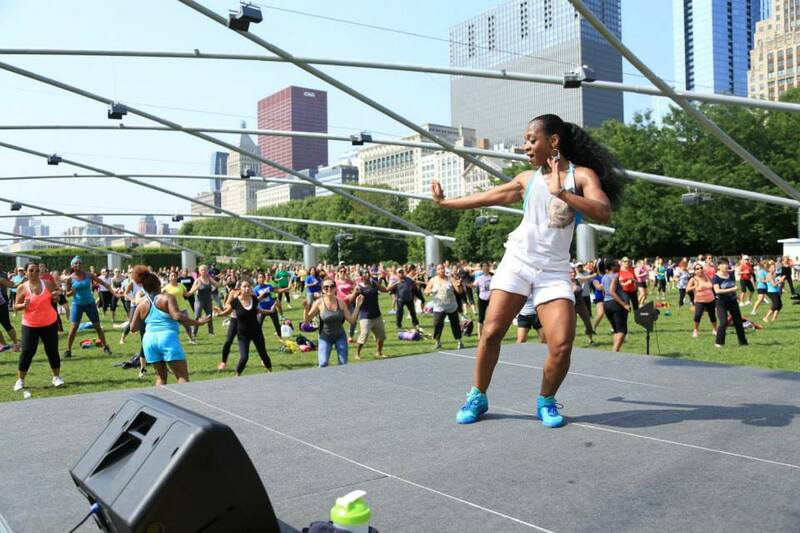 JOIN ME EVERY SATURDAY FROM JULY 4 - AUGUST 1 AT 10:00 A.M. FOR ZUMBA® THE DANCEYTUDE™ WAY! DON'T MISS OUT ON WHAT IS SURE TO BE AN AWESOME TIME!! MARK YOUR CALENDARS! BROADWAY IN CHICAGO SUMMER CONCERT IN MILLENNIUM PARK! Gloria Estefan's forthcoming Broadway project 'On Your Feet!' LEARN MORE HERE! THE 1ST ANNUAL DANCEYTUDE™ CRUISE WITH MEAGAN! 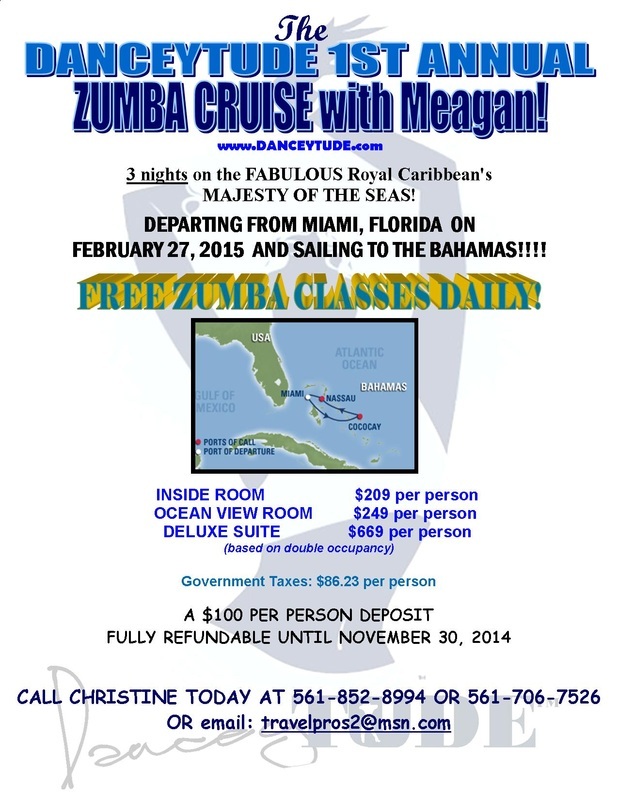 THE 1ST ANNUAL **DANCEYTUDE™ CRUISE** with MEAGAN is here!!!!! And we are jammin' all the way to NASSAU, BAHAMAS!!!! Departing from Miami, Florida on February 27, 2015 for 3 nights! FREE DANCEYTUDE™ classes with me every day! 9 bars & lounges including 'Boleros' Latin themed lounge! Vitality Spa, 2 pools, and 2 whirlpools! State-of-the-art Fitness Center, with classes ranging from aerobics to kickboxing to yoga! Rock-climbing wall, upper deck jogging track, and basketball court! Complimentary Broadway style entertainment in the Main Theater! 7,500 square foot Vegas-style Casino Royale® with 212 slots and 12 tables! ... and so much more!!!! A $100 deposit will hold your space is fully refundable until November 30, 2014. Prices quoted are per person and are based on double occupancy. If you need a travel partner, please let me know! 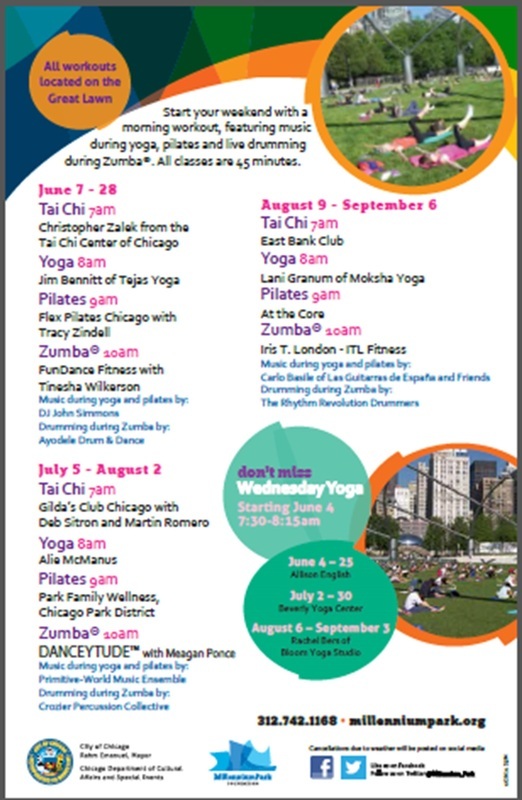 DANCEYTUDE™ HAS BEEN CHOSEN TO INSTRUCT AT THE FREE WORKOUTS AT MILLENNIUM PARK! 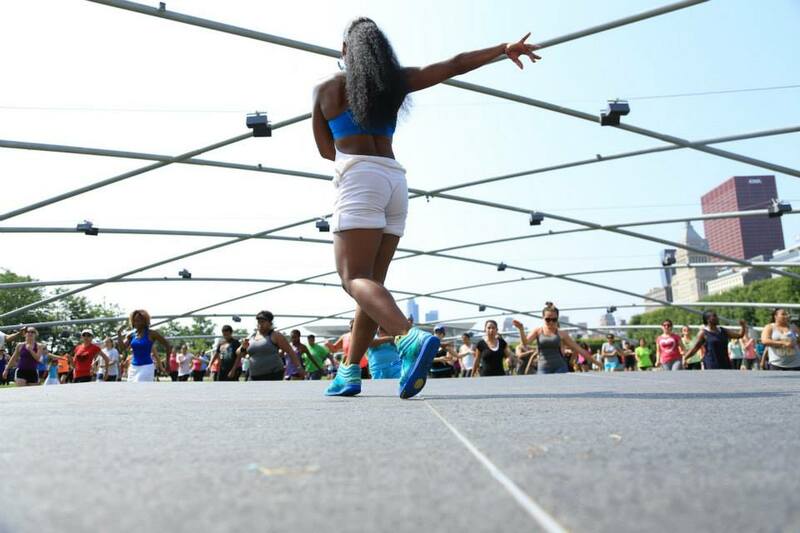 JOIN ME EVERY SATURDAY FROM JULY 5 - AUGUST 2 AT 10:00 A.M. FOR ZUMBA® THE DANCEYTUDE™ WAY!